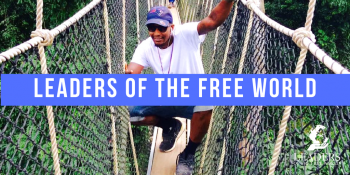 Leaders of the Free World (LFW) is an international experiential learning and leadership development program for young Black men. Our mission is to develop dynamic leaders who are globally-minded, self-aware, and service-driven. The project operates as a year-long global perspective and professional development program, that provides international exposure, while expanding each participant’s leadership capacity. Currently, African-American men make up less than 1% of students who study abroad or receive international experience. In a more globalized society, LFW recognizes the imperative for young leaders to gain a broader understanding of the world and themselves. LFW’s goal is to create a network of leaders whose development impacts their own lives, their communities, and the world; grooming the next generation of changemakers.